Parking to see the Kansas City Chiefs play at Arrowhead Stadium is going up this season from $27 to $40 at the gate. It's part of several measures the team is putting in place to improve things on game day. Angela Sas said, "You pay a lot of money to come out to the games. I mean, you've got to buy everything to set up a tent or a table and everything on top of the tickets and then if you're paying that much to park, it kind of makes it like a special event. I wouldn't come out nearly as often." Jess McClaskey told 41 Action News, "I understand they have less games maybe. Maybe that's why they do that." Eric Bachman has been a Chiefs season ticket holder for 20 years. "I got my tickets in the mail about a week ago. I think the time to let the fans know that would've been when you're sending them the check for your tickets. I'm just kind of wondering what they really think of their fans and their season ticket holders," he said. 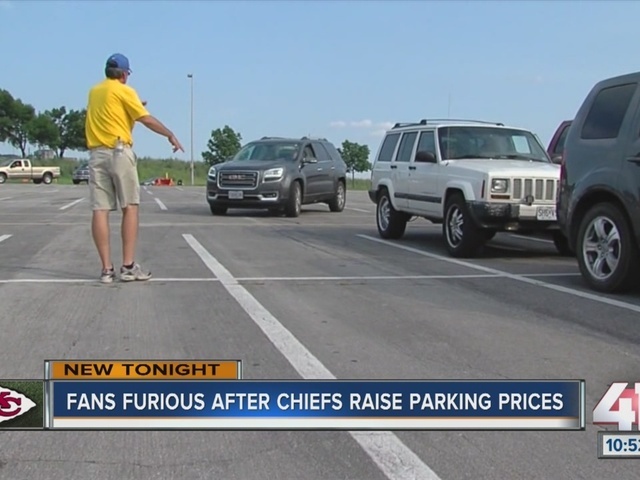 Mark Donovan, the Chiefs president said they just want you to come to the games with a parking pass. He said lines move twice as fast when you pay in advance as compared to paying with cash. Donovan said they're urging you to buy it at Arrowhead's box office in advance or online where it's only $30. When you purchase online you will also be charged a convenience fee that ranges from $1.50 to $4.50. He said over the past few years fans have given the team three main concerns. "Why does it take so long to get out of the tollbooth, and the second is why is it so difficult to direct me once I'm in?" said Mark Donovan, Chiefs president. The third reason Donovan listed was people get frustrated when they walk by open spaces. This season attendants will direct you to the nearest spot. The reason why tailgate accessories are limited to 8 feet behind you is the need for medics to get through in case of emergencies and for people to get to the parking spots. Donovan reiterated tailgating is still very special at Arrowhead. 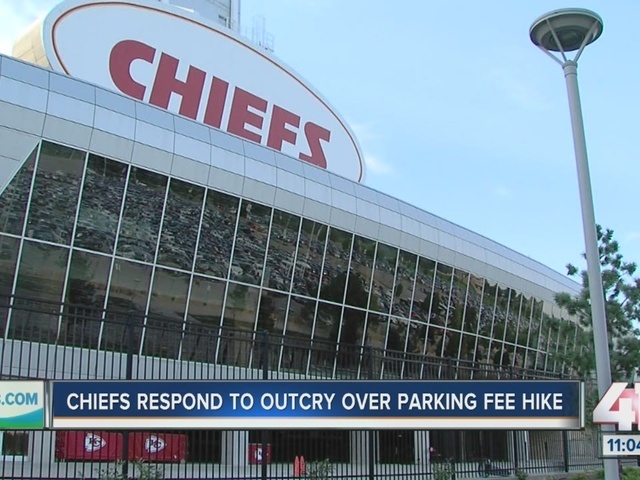 When asked if the Chiefs anticipated to make more money in parking this year and Donovan said they made this change to simplify the parking process and to make it more efficient. Visit www.chiefs.com/parking for more information.